I have just finished scoring a short film for the Enlighten Light Festival in Manchester 11th-14th December. 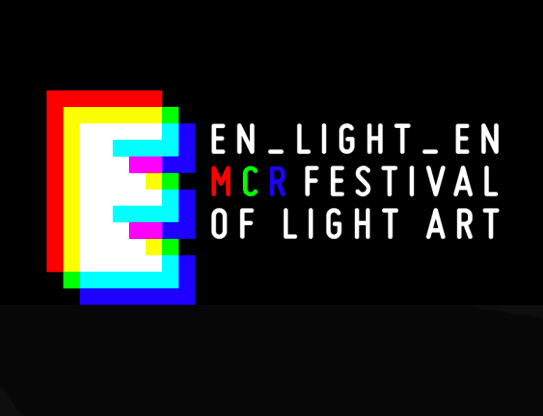 The website for the festival is http://www.enlightenmanchester.co.uk – where you can see a video of the set-up of Andrew Brooks’ ‘Immersion’ which is designed to be shown on a 320º screen. Visitors will be invited to get a sense of the city from some of its highest towers and roof tops. It will surely be a unique experience alongside a host of other memorable exhibitions. Posted on 08/12/2014, in General and tagged Andrew Brooks, Curated Place, ElightenMcr, Enlighten, Immersion, Jack White, Manchester, Piccadilly Gardens, Secret Cities. Bookmark the permalink. 3 Comments. This was stunning Jack. Stunning. Your music totally brought the work to life and brought me to tears.